Stone floors can elevate the look of any room in your Arizona home. If properly maintained, they can also last for many years, helping you to save money and protect your investment in your home. Though stone floors are durable, they are not impenetrable. You must know how to take care of them so that they do not become scratched, dulled, discolored, or otherwise marred. Stone can be broken down by harsh cleansers. It is important that you use only those cleaners that are specifically labeled for use on your type of stone. If you are ever in doubt, just use water. It’s very important that you should always avoid cleaners that contain abrasive ingredients, such as those that scour or that use harsh chemicals. Do not use acidic cleaners on your stone floors, such as vinegar, lemon juice, or commercial cleaners that contain one of those ingredients. Always check the label before you use any cleaner on your stone floors, even if the cleaner is something you use all the time on other areas of your home. Dirt and dust that comes in every day on your feet or through other activities can accumulate on your stone floors. The debris can settle into the nooks and crannies of your floors, creating long-term stains that are very hard to remove. The debris can also cause scratches if it is pushed around by foot traffic, furniture, or other items. You should sweep or dust mop your AZ stone floors every day. That will not only keep them clean, but it will also prevent damage to them over time and save you a lot of money. If you don’t want to sweep or dust mop your stone floors, you can use a vacuum cleaner. But if you aren’t mindful of the type of vacuum cleaner you are using, you could be causing damage to your stone floors. Your vacuum cleaner should have clean wheels that are in good repair. Any worn or damaged wheels can drag or scrape on the floors, creating small scratches or other damage. Of course, your vacuum cleaner should also have wheels. Even if you can’t see that the vacuum cleaner is causing damage in the moment, the subtle damage can add up over time. When stains or other tough marks develop on your stone floors, you may be tempted to put some elbow grease into removing them. However, if you use scouring pads or hard-bristled brushes to try to clean your floors, you are likely to damage them. Always use soft cloths when cleaning your floors. Hot items are a bigger risk to stone countertops than it is to stone floors. But if you have stone floors in your kitchen, you still need to be mindful. If you drop hot foods or even spill boiling water on the floor, you could seriously damage it. You also need to be careful about using heaters or other appliances that could put out heat on the floor. It’s not difficult to take care of stone floors near Gilbert and keep them looking great. However, it is easy to make mistakes that could seriously damage the floors just because you don’t have the right knowledge about how to care for them. Make sure you avoid these mistakes and you keep your floors in great condition for a long time to come. 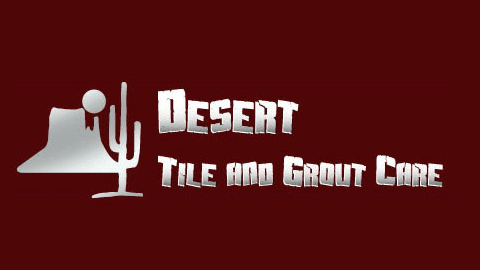 Desert Tile and Grout Care can help you keep your stone floors and other stone surfaces in great condition so that they look good and have a longer life span. Our experienced professionals can provide regular maintenance for your stone floors, or they can clean your damaged floors and restore them to their former glory. Our professional stone floor cleaners can lift out years of dirt and remove stains so that your floors look like new. Call us today to schedule a consultation or to book a cleaning for your stone floors.